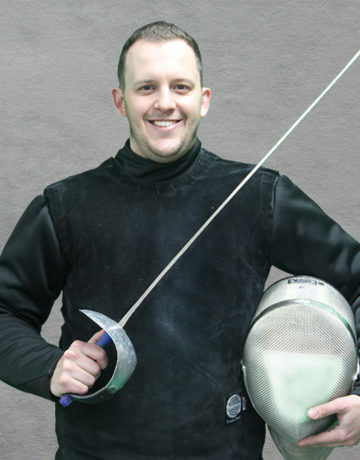 Coach Colin was a nationally and internationally competitive fencer for more than 15 years, competing as a regular member of the U.S. national team at the Cadet, Junior, and Senior levels. Coach Colin won Junior and Senior National Titles and medalled in several Junior World Cups. In 2001, Colin was a member of the World Champion Junior Men’s Sabre team in Gdansk, Poland, where he won Bronze in the individual event. Colin previously trained under Arkady Burdan and Vladimir Nazlymov. Coach Colin’s goal is to lead Salle Mauro in building a competitive and successful corps of Sabre fencers in Houston.